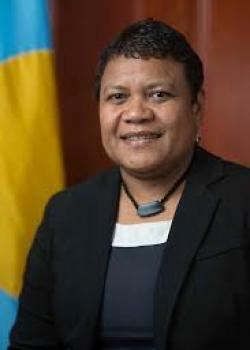 Minister of Community and Cultural Affairs Baklai Temengil-Chilton revealed last week Palau’s intention to bid for the 2025 Pacific Games. The bid is to host 12 sporting events including spearfishing and baseball. CNMI withdrew its bid to host the 2021 Games due to challenges related to the two super typhoons that devastated their country. At the Leadership meeting last Thursday, Senator Frank Kyota reported that Palau has the capacity to host the 2025 games. Speaker Anastacio recommended putting up some funding toward the games, whilst Delegate Isechal expressed his support but also expressed concern over committing funds for a programme that is 6 years down the road. President Remengesau urged leaders to prioritise funding for the 2021 Pacific Games participation of Palau’s athletes, emphasizing the importance of sports in promoting active lifestyle and addressing NCD related issues. Palau is expected to submit its bid in Samoa during the 2019 Pacific Games.